Eric Bailly has been enduring a prolonged spell on the sidelines despite being fully fit, after having supposedly fallen out of manager Jose Mourinho’s favour. The talented defender’s Manchester United future remains far from secure, amid reports of a prospective January transfer to one of his several suitors. Despite his issues, however, the Ivory Coast international has remained largely supportive of his fellow teammates – especially the ones who have been on the receiving end of a lot of criticism lately. 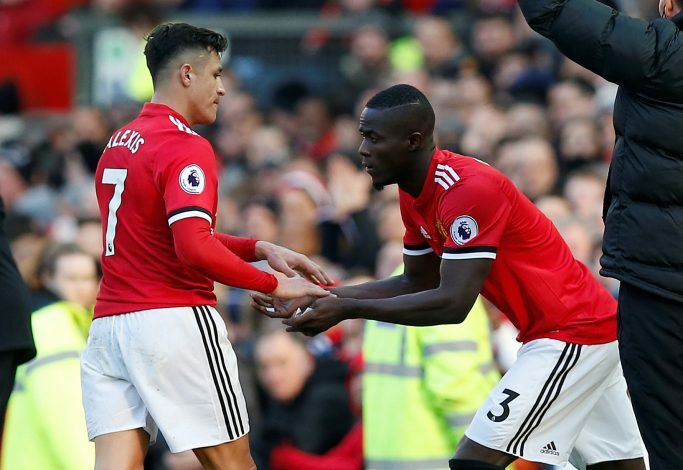 Both Alexis Sanchez and Romelu Lukaku have been heavily chastised for their recent performances by fans and pundits alike, but Bailly has remained adamant that they are both world-class footballers, and an asset to the Red Devils’ squad. On the back of reports that claimed Alexis cut a lonely and silent figure in the Manchester United dressing room, Bailly was asked about the Chilean by the club’s official website. The centre-back replied positively, claiming: “He has a huge amount of talent. He brings a lot, he’s a plus. He’s always talking to his team-mates and the other forwards. The 24-year-old then went on to express his thoughts on Lukaku, as he added: “Romelu is a very good forward and the team needs this type of player to progress. Lastly, Bailly also heaped praise on United’s in-form forward, Anthony Martial, by stating: “With the talent he has, he’s the kind of person who always makes a difference.